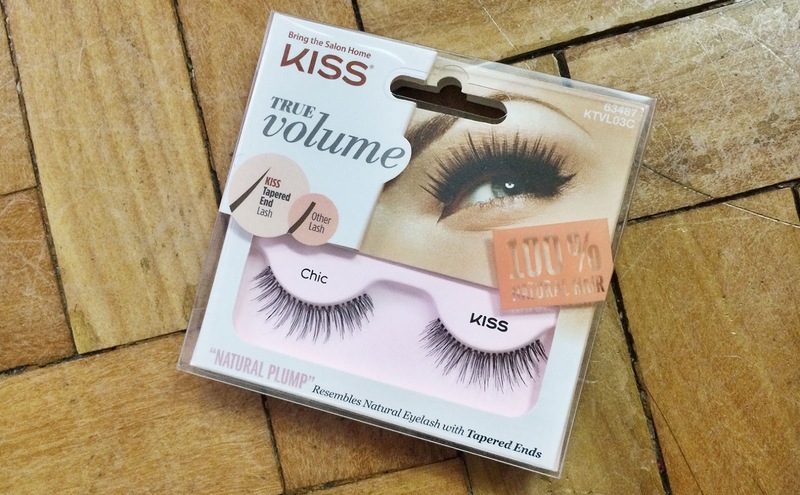 Review: True Volume Lashes by KISS! When it comes to false eyelashes from the drugstore I believe KISS makes some of the best. Their lashes are made with 100% natural hair. They are so lightweight that I often forget I am wearing them. Every now and then they come up with new innovations of falsies to keep up with the trends. This new-ish line up consists of the "True Volume Lashes" which are unique because of the tapered ends that mimic natural lashes to help them blend seamlessly while providing essential volume. 1. Check fit: Lay lash on top of your natural lashline. If needed, trim to fit from the outer corners. 2. Apply eyelash adhesive to lash band, I love DUO Striplash Adhesive. Wait 30 seconds for adhesive to become tacky. 3. 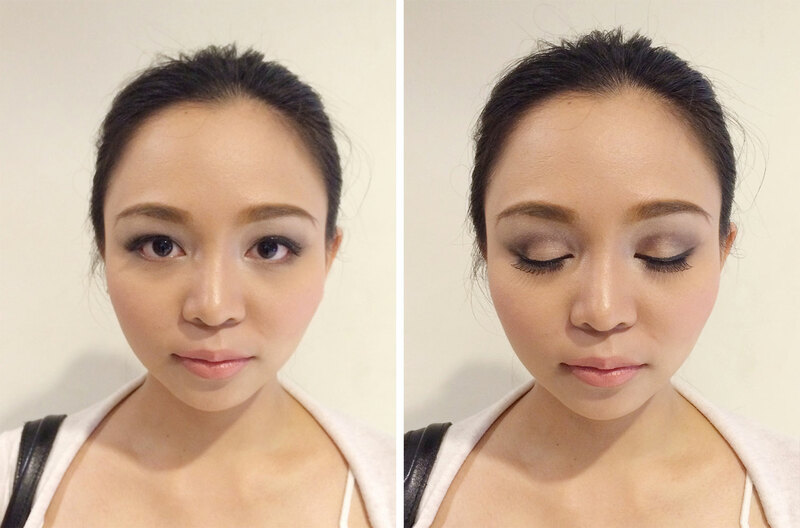 Apply false lashes along your natural lash line. Wait to allow adhesive to dry completely. Above I am wearing a pair of KISS True Volume Lashes in Chic on the top lash line. You can see how delicate they are and I must say they are more natural looking than dramatic synthetic pairs I have tried before. When using eyelash strips, I recommend a thin black line on the upper lash line to disguise bands from the eyelash strips. KISS True Volume Lashes are available from BOOTS at £4.99 a pair. They currently have a 3 for 2 offer, so make the most of it and don't forget to use your Boots Advantage Card!